If you track any tactical or gun related feeds on Instagram, then you probably have seen some of your friends and favorite brands mentioning that they have started a Gun Squad account. This is a result of Instagram’s new policy to follow in the footsteps of Facebook to monetize the popular social media network, a step that many believe will lead to throttling of business accounts and other manipulation of people’s feeds. How do you feel about this as an individual or business? Does it matter? Share your opinion in the comments! Gun Squad is based on the popular Plus 11 platform http://www.plus11.com which is designed similarly to Instagram and attempts to provide niche markets with a social media home. The App is focused on serving the needs of gun enthusiasts through imagery and a full featured forum. Instagram users will feel right at home, and the app may even offer some enhanced functionality. 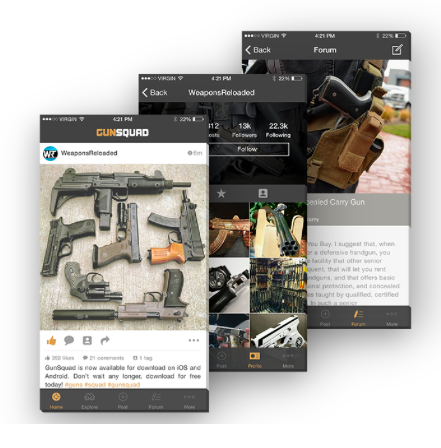 The Gun Squad App features an image feed that allows users to like and comment. One of the cool features is comments feature hyperlinks! The Gun Squad App Camera features all the same editing capabilities and full width images are allowed so photographers can maintain their watermarks etc. Exploring is just another name for search and there are no surprises there. Forums are a cool feature and allow an extra level of community. This will be very cool if implemented properly and could be a good avenue for the folks behind GunSquad to monetize the app. Profiles are very similar to Instagram’s however, currently there is no option to link Facebook “Pages” for businesses or link two Gun Squad accounts. Personal Facebook profiles are allowed but, it may be a better idea to sign up with an email in case Facebook ever cuts off service. A really cool feature is the “Top Posts” tab in your profile. Top Posts lets you see what image and video posts were liked the most and helps you curate your content better. 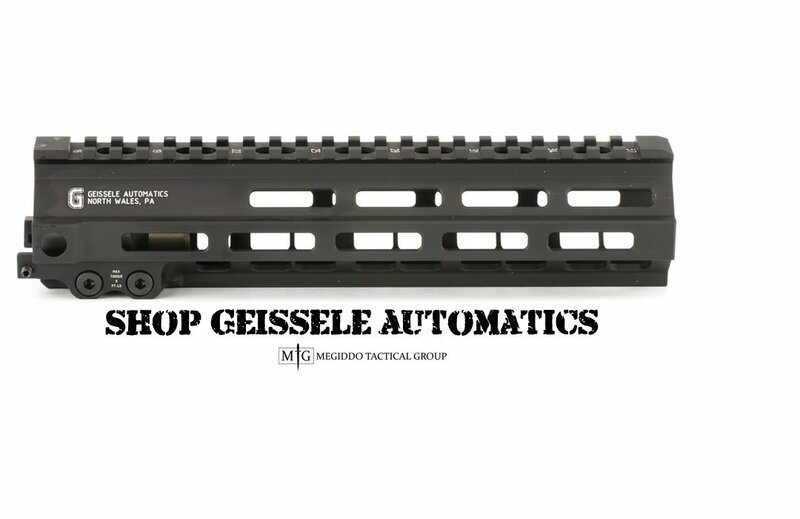 Be sure to check out our pages on the Gun Squad App and let us know in the comments what you think! Is this an Instagram killer? Team Wendy EXFIL BALLISTIC is Launched!